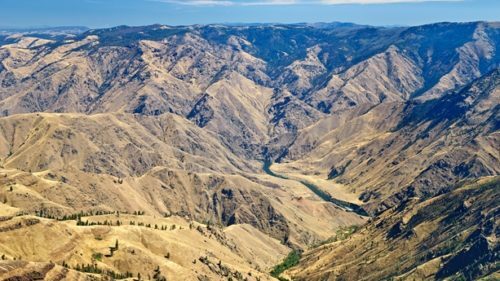 America’s deepest river gorge, Hells Canyon, and “Little Switzerland,” the Wallowa Mountains, star on this 208-mile/335-kilometer horseshoe route through the state’s northeast corner, the rich ancestral homeland of the Nez Perce tribe. Talk about a local’s secret: It seems much of the world has yet to discover this incomparable region, where the lofty Wallowa Mountains dominate the horizon, and wide ranching valleys give the picture-perfect perspective from which to appreciate the view. More than 19 of the Wallowas’ peaks rise above 9,000 feet/2,743 meters, many of them forming the backpack-and-horseback paradise of the Eagle Cap Wilderness. Beyond, the land cracks into the great cleft of Hells Canyon and the wild waters of the Snake River. It’s a secret you’ll want to keep to yourself, all within close proximity to Interstate 84. Some 300,000 pioneers headed west on the Oregon Trail in the mid-1800s, literally seeking greener pastures to establish homesteads. The 2,000-mile/ 3,218-kilometer route passed right through La Grande, and many pioneers chose to stop right there — where clear rivers flowed down from surrounding mountains into a broad, grassy valley perfect for growing crops and grazing cattle. Just as it provided a resting stop along the Oregon Trail, today La Grande is a major commercial center in Eastern Oregon, with a lively downtown and vibrant Eastern Oregon University. It’s a convenient jumping-off point for forays into the Wallowas. The byway leads north on OR-82 through a fertile farming region replete with turf grass, barley, mint and other crops. Elgin, a farming and ranching town, hosts the Elgin Stampede, a stop on the professional rodeo circuit, each July. Downtown Elgin’s restored 1912 brick opera house hosts performances and houses a history museum. Elgin is also the departure point for trips on the Eagle Cap Excursion Train, chugging through the deep canyons of the Grande Ronde and Wallowa rivers. At Minam, the byway climbs and bends south along the Wallowa River. 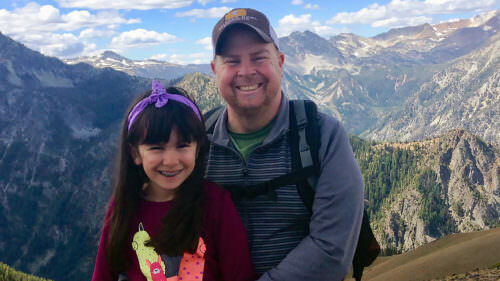 It’s a particularly scenic stretch of road, with the Minam and Wallowa rivers flowing through creased canyons, and the oft-snowcapped Wallowas rising ahead. The Minam State Recreation Area has riverside camping, popular with anglers and rafters. The byway descends into Wallowa County and the Wallowa Valley, known to Chief Joseph and the Nez Perce as the “beautiful valley of winding waters.” The Nez Perce, admired for their superb horse skills, coexisted peacefully for decades with the settlers moving into their ancestral homelands. But eventually the cultures clashed. Chief Joseph and the Nez Perce triumphed in several battles against the U.S. military in 1877 but ultimately were forced to surrender and move to reservations. In partnership with the National Park Service, the growing Wallowa Band Nez Perce Trail Interpretive Center in Wallowa celebrates Nez Perce culture. It hosts exhibits and, each July, holds its Tamkaliks celebration of traditional dance, food, song and dress. The byway continues through scenic farms and ranches spread out at the base of the broad-shouldered mountains. In Enterprise, the county seat, the downtown core retains an Old West feel with its 19th-century architecture and present-day agricultural economy. Visit the chamber of commerce to pick up information on all of Wallowa County’s attractions and events. The small town of Joseph has grown into a thriving arts community, with several downtown galleries, studios and walks highlighting public art installations. Anchoring the arts scene is Valley Bronze, one of the nation’s most notable bronze foundries. It offers tours of the production process, from clay models to finished castings. The Wallowa Mountains Office on Second Street has maps, permits, exhibits and information about the national forest, the Eagle Cap Wilderness and the Hells Canyon National Recreation Area. A mile/1.6 kilometers south of Joseph lies Wallowa Lake, a deep-blue alpine beauty formed by glaciers and wedged between high peaks. Wallowa Lake State Park has a campground and a marina with boat, kayak and SUP rentals. From mid- May through September, the Wallowa Lake Tramway whisks passengers toward the summit of 8,200-foot Mt. Howard for easy access to high-altitude hikes. 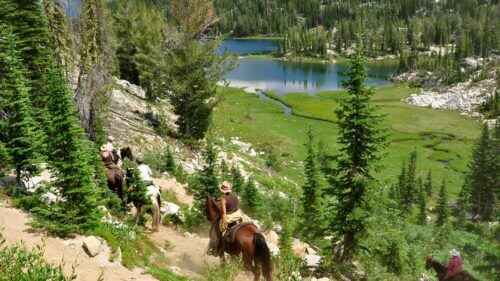 At the head of Wallowa Lake, you’ll find some of the easiest access to Oregon’s largest wilderness area, the 360,000-acre Eagle Cap Wilderness. From Joseph, the byway heads east toward Hells Canyon. It follows OR-350 to FR-39, swinging south to briefly parallel the Wild and Scenic Imnaha River, important spawning grounds for chinook salmon and steelhead trout. For your first look at Hells Canyon, turn left on FR-3965 near the Ollokot campground to the Hells Canyon Overlook. Perched at the rim, you’re peering down into the deepest canyon in North America. Spoiler alert: You can’t see the Snake River from this viewpoint, but the gorge is stunning — more than a mile/1.6 kilometers deep and carved by eons of Snake River erosion. From some areas on the east rim, Hells Canyon plummets more than 8,000 feet/2,438 meters, dwarfing even the Grand Canyon. Back on the byway, FR-39 continues south to a junction with OR-86. Detour north past Copperfield/Oxbow to the Hells Canyon Dam and the Hells Canyon National Recreation Area Visitor Center for a look at this mighty canyon from the river level. To really experience its grandeur, sign on for one of the area’s rafting trips or jet-boat excursions, which descend through the canyon and tackle the Snake’s exhilarating white-water rapids. The byway winds west through the towns of Halfway and Richland along a route traveled by early settlers. You can explore the mountains and foothills here with one of many horse or llama guide companies whose sure-footed creatures pack your gear so you can enjoy the view. Near Baker City, the National Historic Oregon Trail Interpretive Center offers exhibits and living-history presentations on the great migration that forever changed the American West. The byway ends in Baker City, where it intersects with the Journey Through Time Scenic Byway, the Blue Mountain Scenic Byway and the Elkhorn Drive Scenic Byway. Downtown Baker City is ripe for exploring with more than 100 buildings on the National Register of Historic Places. Take a horse-drawn tour or journey on foot and find a fine mix of museums and galleries as well as craft breweries, a distillery and an artisan chocolate maker. 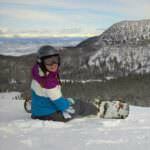 Editor’s note: Find current conditions, events and more information about this byway at hellscanyonbyway.com. Order a free Oregon Scenic Byways guide, or view a map of the Hells Canyon Scenic Byway online. Where can we get the best view of the Wallowas?